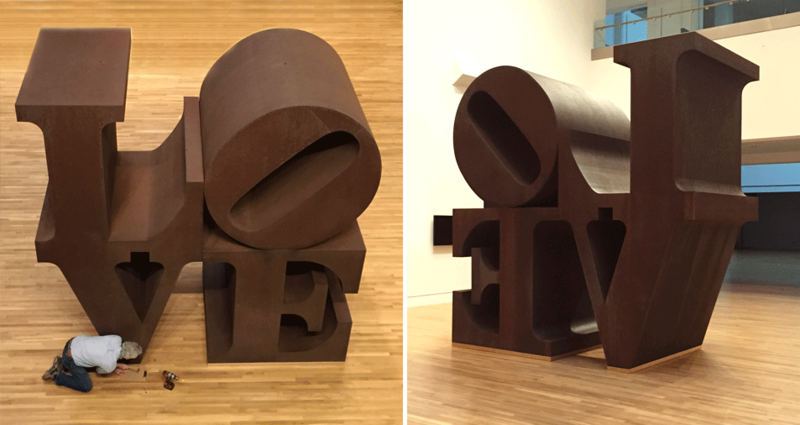 Robert Indiana’s LOVE sculpture at the Indianapolis Museum of Art (IMA) is a treasured sculpture of the collection and an beloved icon of the community. 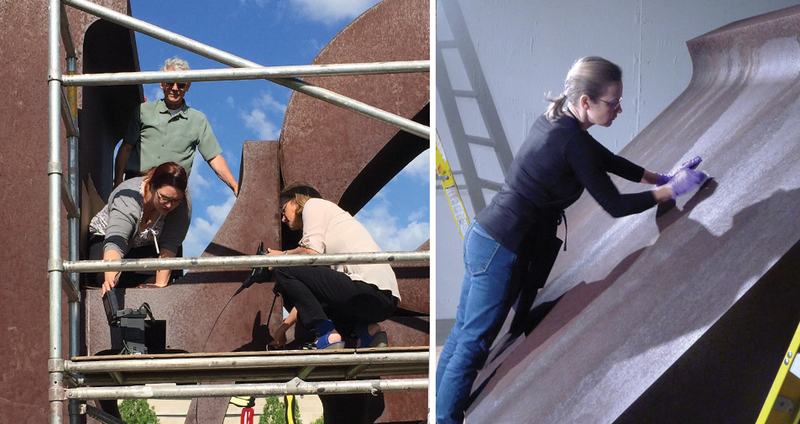 After nearly 50 years of outdoor exposure, the sculpture was evaluated by Abigail Mack and Alfred Lippincott for stability and, along with the IMA and other shareholders, it was decided to put it on permanent indoor display for its long-term preservation. 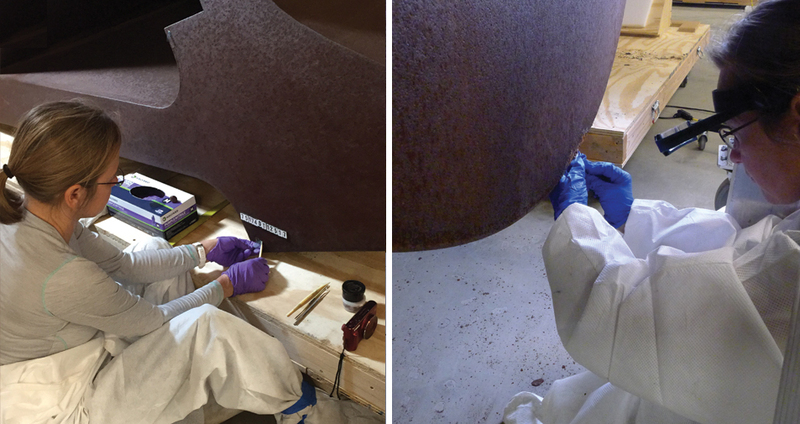 A conservation treatment to repair minor structural damages and minimize disfiguring surface damages was undertaken at the IMA with Mack as the guest conservator. 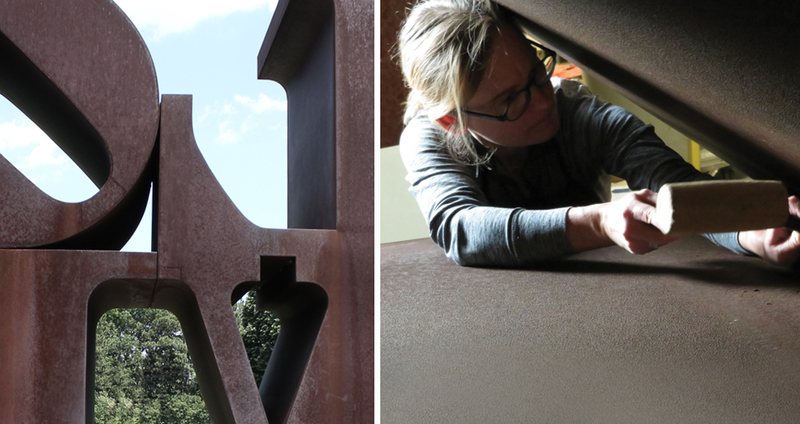 The choice to conserve the sculpture and move it indoors considered a number of factors including the artist’s intended display environment. But for LOVE whose materials could no longer withstand outdoor exposure, the choice was made to preserve and conserve rather than be faced with major restoration or refabrication.